Dr. Alan W. Scott is a 1993 graduate of the University of Georgia College of Veterinary Medicine. Originally from Greenville, South Caroina, he completed an internship in Kentucky before joining the Gainesville Veterinary Hospital in 1994. Now the hospital's principal owner, he has streamlined its focus to facilitate the care of the region's family pets. Dr. Scott frequently volunteeers his time working for the Georgia Veterinary Medical Association and his local church, Gainesville First United Methodist Church. When at work he is most comfortable in the surgery room where he enjoys orthopedic and soft tissue surgery. He is married with three sons, a dog, several cats and numerous fish, and when not at the hospital he enjoys running, golfing, playing racquetball, and spending time with his family. Dr. Kathryn L. Brothers is a 1998 graduate of Auburn University College of Veterinary Medicine. She was born in Big Spring, Texas the daughter of an Air Force pilot and a school teacher. Some of her best times growing up were spent with her best friends Spats and Gizmo (the family dogs), her grandfather who was a wildlife and animal enthusiast, and riding horses. In college she played intercollegiate women’s soccer, was president of the Southeastern Raptor Rehabilitation Center, received a molecular genetics fellowship, and was awarded multiple scholarships. Dr. Brother’s specialties include internal medicine, geriatric medicine, oncology, and soft tissue surgery. When not volunteering for several pet rescue organizations, she is a dedicated wife, and a proud mother to a lively and loving four year old daughter. Her four legged family includes a miniature schnauzer named Poe and a diva cat named Summer. Most of her spare time is devoted to family but her interests include dressage, all things outdoors, travel, and good food. 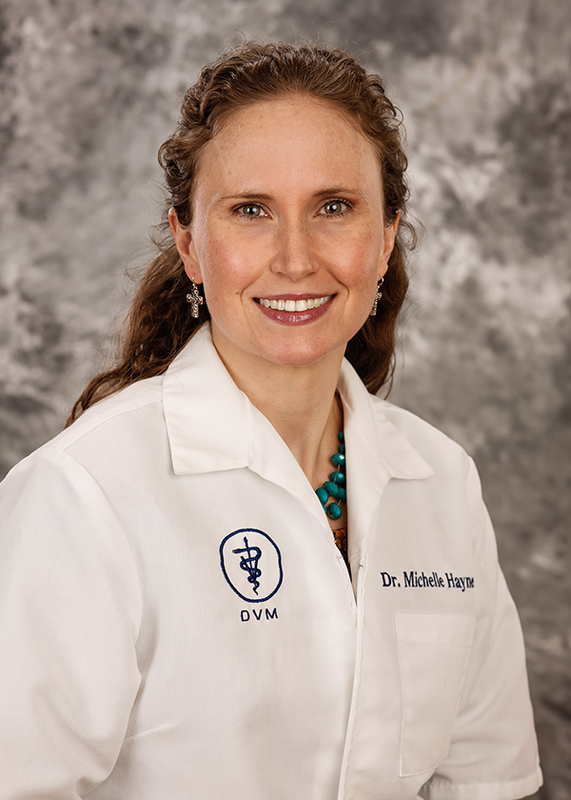 Dr. Michelle Haynes, a native of Alabama, aspired to be a veterinarian from a very early age and spent her free time as a teenager volunteering and being mentored in a hometown veterinary practice. She obtained her B.S. degree and her D.V.M. from Auburn University and has lived in the Northeast Georgia region since graduating from veterinary school in 2005. Dr. Haynes has served the clients and patients of Gainesville Veterinary Hospital on a relief (fill-in) basis since 2011 and joined the hospital team in a regular capacity in 2013. When she is not in the office, Dr. Haynes enjoys the roles of wife and mother ( to a peschooler, a toddler and a very handsome tuxedo cat) and pursues her passions of photography, hiking, and staying active in her local church.